Have you seen those cute speckled Easter eggs at Target? 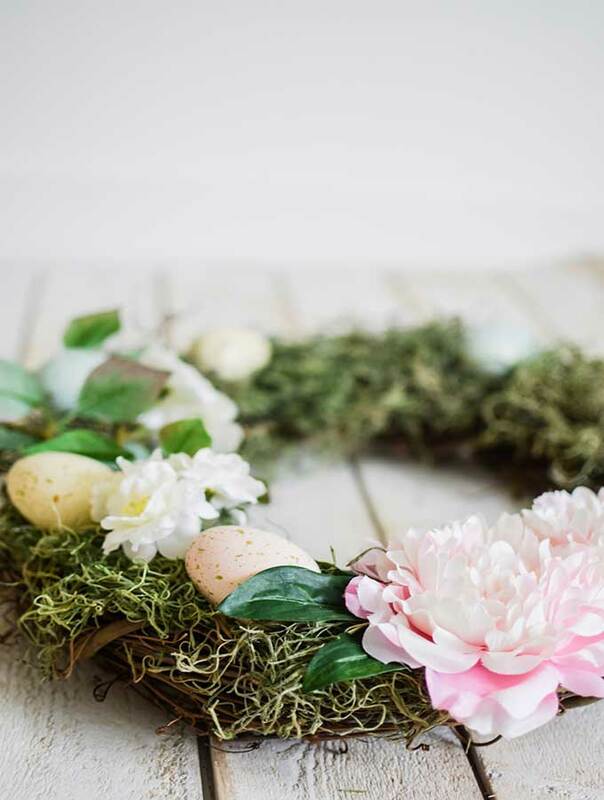 Well that’s what got me started on making this Easy Easter Egg Wreath/How to Make. Let’s go over what you’ll need to get started and I will also share some friends and their egg ideas for Spring. Not too many items are needed to create a wreath like this. But of course a wreath is customizable, so you can add or take away whatever you don’t want. Below I will add some affiliate links to the text so you can shop this post. I love to use grapevine wreaths for my base because they will last for years. Next, add some moss. I have a tutorial on how to do that so it sticks really well. I created a diy succulent wreath with moss. Now for the flowers. This is all a personal preference I went with pink because it’s a pretty Spring pop of color. Just add them to the wreath with hot glue. Make sure the glue is good and hot so they don’t come off. Gorilla glue sticks are my fave. Last comes the placement of your eggs. Glue them in place where you think they look good. I’m the type that likes to wing it and call it good. Try not to be too hard on yourself. 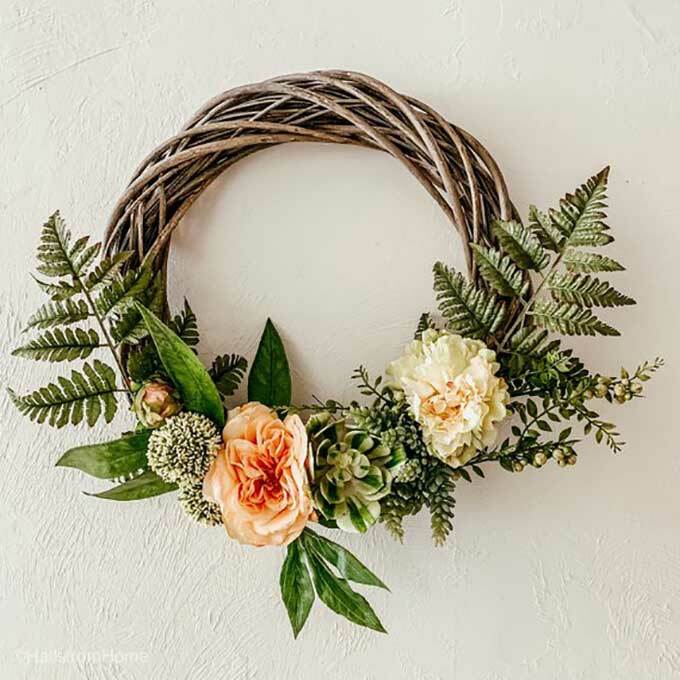 Creating can be super fun, but if you don’t feel like creating you can purchase some Spring wreaths here. I absolutely love wreaths! Do you? They just add so much life as well as seasonal decor to a space. To place the moss on the wreath I spray down spray adhesive then press the moss down so it sticks. 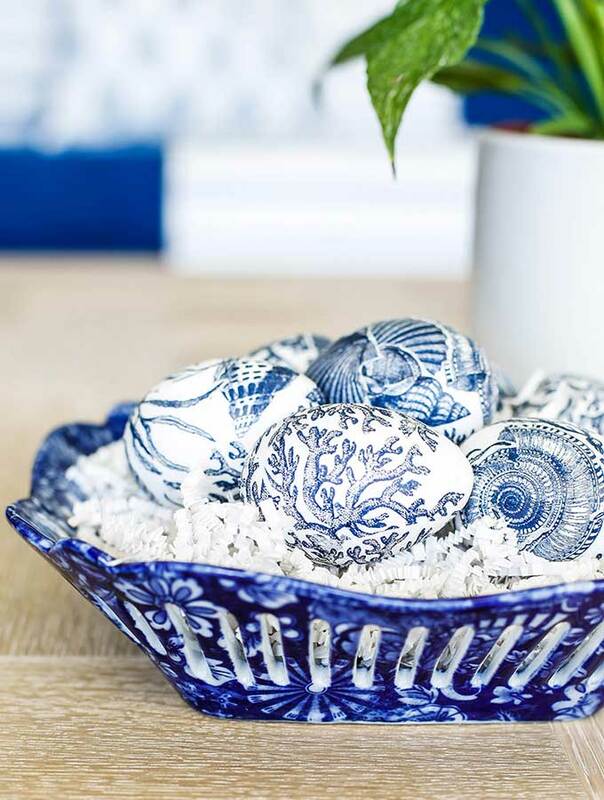 When Spring comes around it’s time to start creating, to help brighten up your home and get it ready for the warm months. 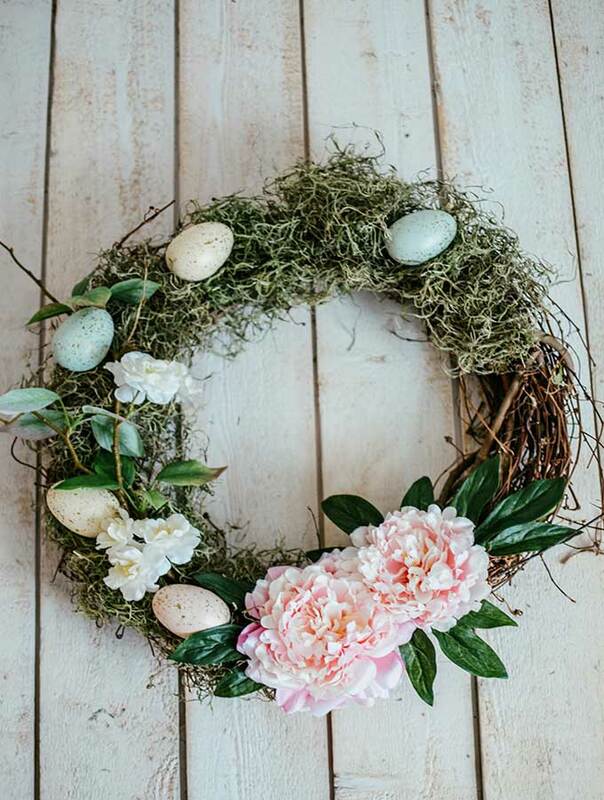 I decided to go with few flowers on this wreath because I wanted it to be all about the eggs. The flowers were placed in one small grouping, then a few scattered about. I’m going to admit the hard part for me was the placement of eggs. Placing the eggs randomly was what I did. When I liked where they were put, I glued them on to the wreath base. Just winging it like normal around here. It’s what I do best, but hey it works! In the end I thought my wreath turned out very pretty and great for Spring decor. Decorating with Easters eggs is so much fun! Oh I almost forgot, if you love getting creative I have a velvet Easter egg tutorial and it is so easy. It’s another twist on Easter egg decorating. This was our mess after the wreath making. 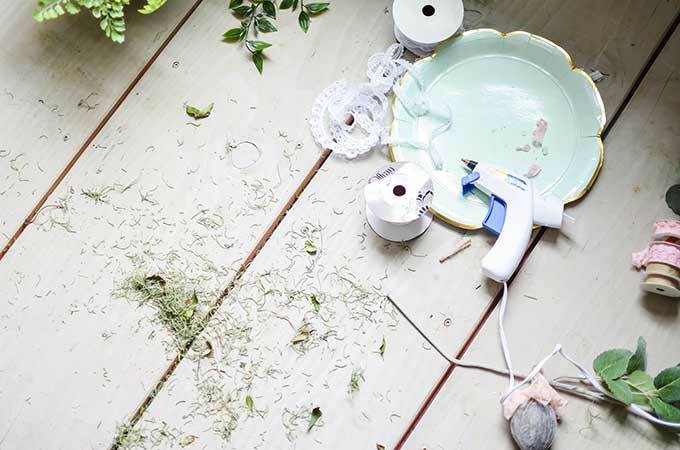 The moss is what really makes it messy, but a mess is fun. Below are a couple Spring wreaths I have created recently. They are perfect for Spring and even Summer months. 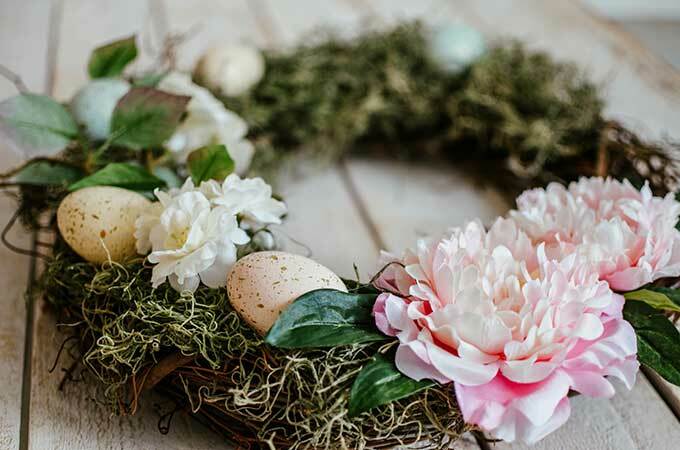 If you have created a craft with Easter eggs or made a wreath, be sure to tag me on Instagram so I can see your beautiful creations. 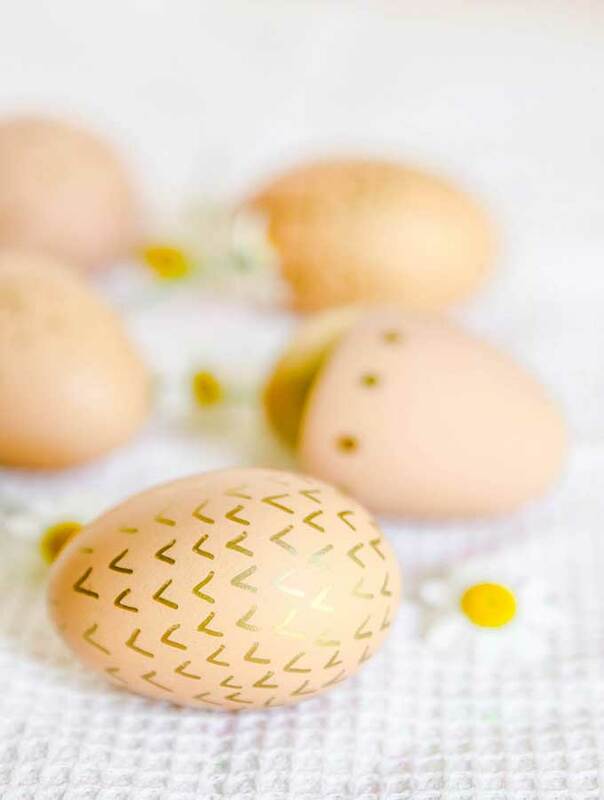 Now it’s time for some gorgeous Easter egg decorating ideas from my blogger friends below. 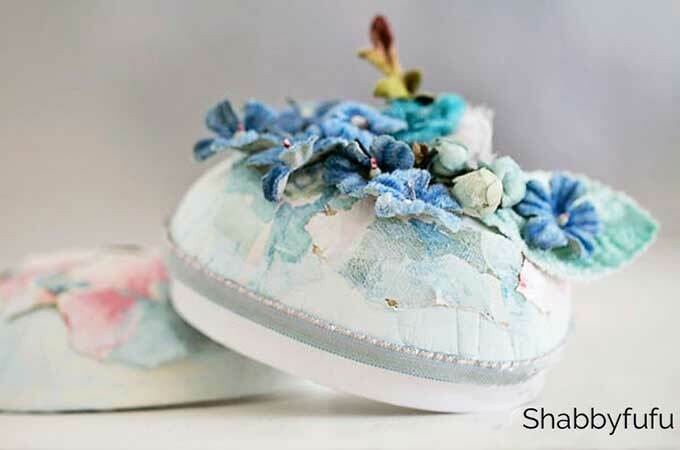 You will be so inspired, that you’ll want to run to the craft store right now! Ok how darling is this?! This is such a fun craft that my girls would love to do. Sweet little bunny ears on an egg, now that’s creative! Love this marbling effect, it is so cool! I didn’t even know you could do this to Easter eggs. I’m going to have to give it a try. Gorgeous!! Seriously go check out how she created these. It’s super easy and so pretty. 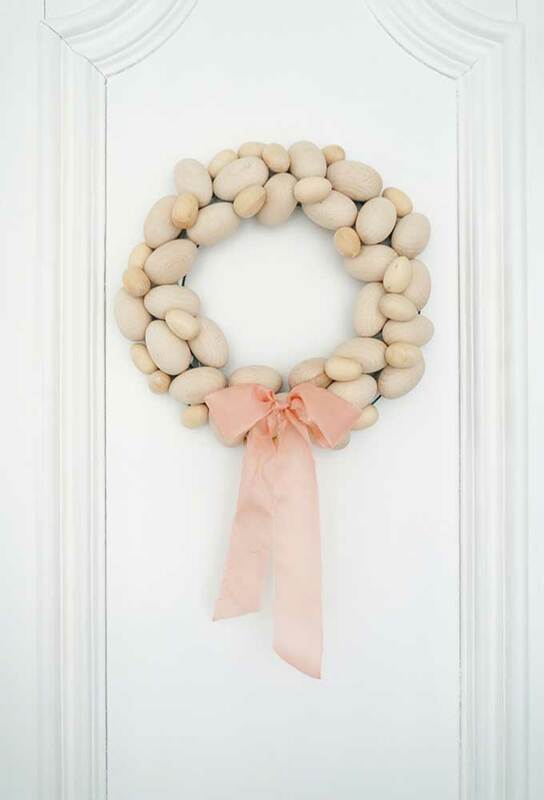 Love the simplicity of this wreath. The pop of color in the ribbon, really gives it the Spring touch. The wooden eggs are darling! Ahh I love these, how stinking cute are they. 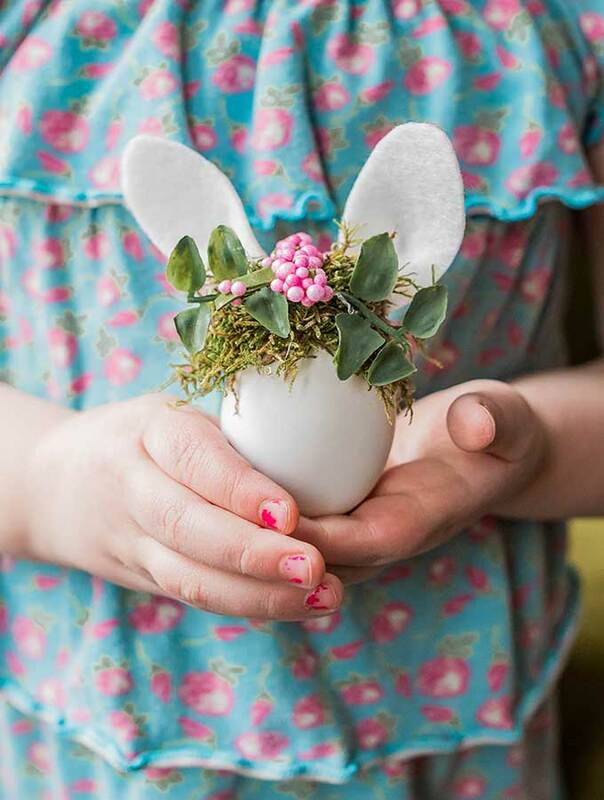 Go take a look at her post to see how she created these easy, but cute little Easter eggs. Ashley did an amazing job once again. Talk about easy and that gold is perfect for Easter. This is a great idea for those busy moms that are running out of time, but still want their kids to have fun decorating. It’s all the things you have right at home, to create something so pretty. Stunning! I think I need some vintage flowers in my life. Talk about gorgeous. 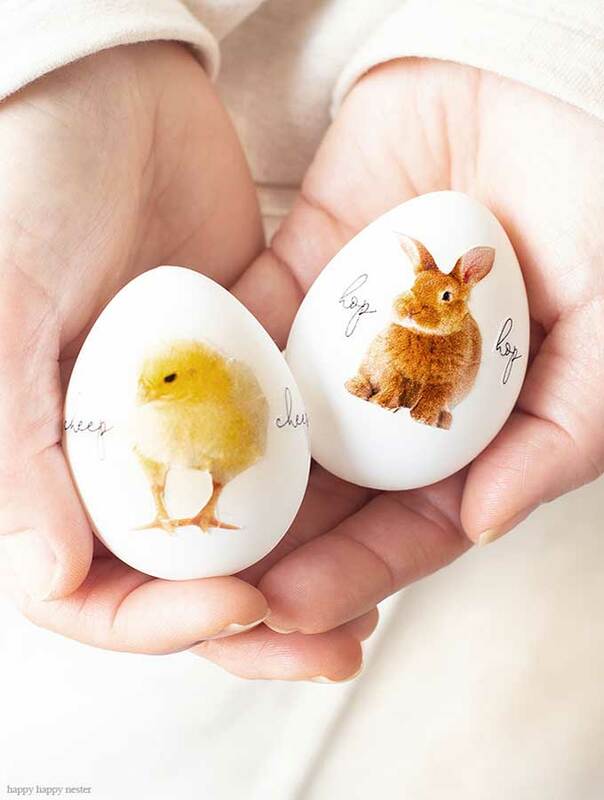 This is such a fun idea for an Easter craft. This is super fun. 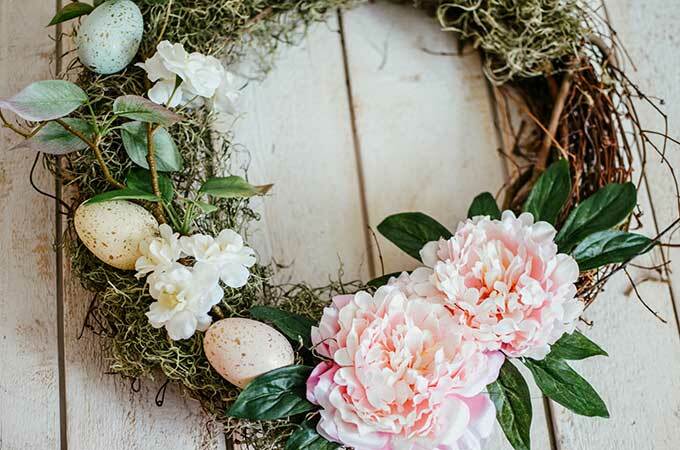 It has all the elements of Spring and Easter to really get you in the spirit. Wreaths are just so fun to create. Like this one, you can really add anything you want. 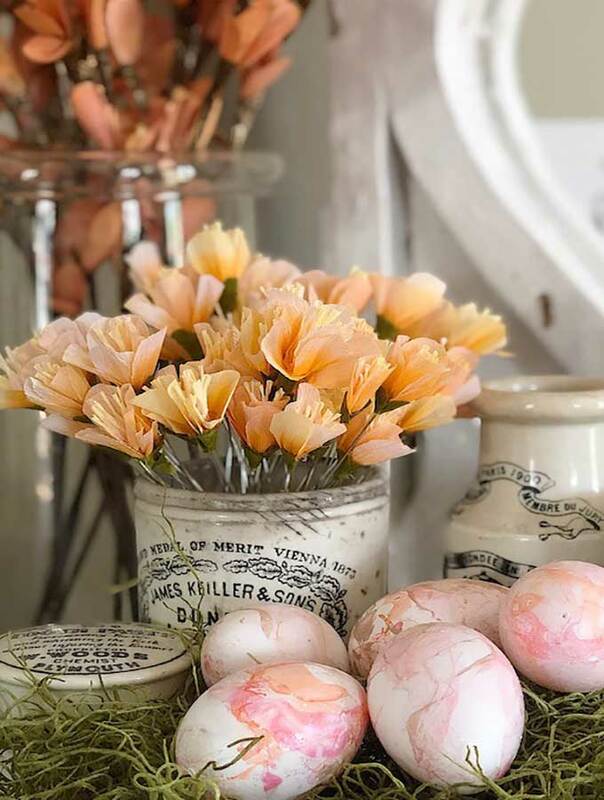 The flowers and the golden eggs really give it a pop of color, that I love. Who knew there could be so many different ideas for Easter egg decorating. 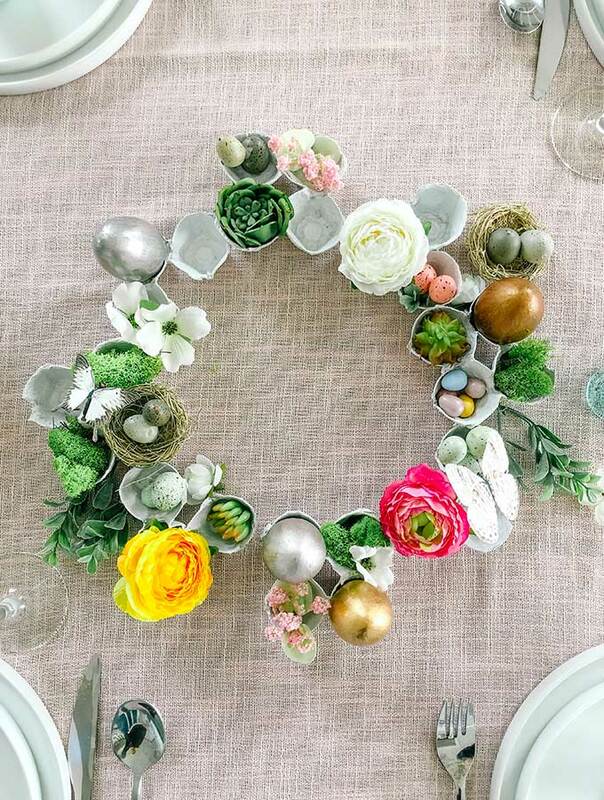 I hope these inspired you to go create something fun with Spring eggs! Thank you Janet! Happy Easter to you too! 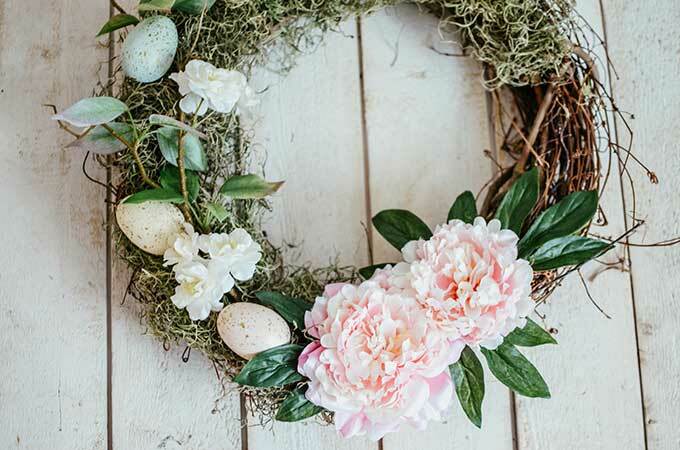 Oh Rhonda this beautiful spring wreath is just perfect! I love how you used speckled eggs and moss! Just lovely my friend. Why thank you! I am loving the speckled eggs. Happy Spring! Kim you are so sweet! I know they’re too much to handle. 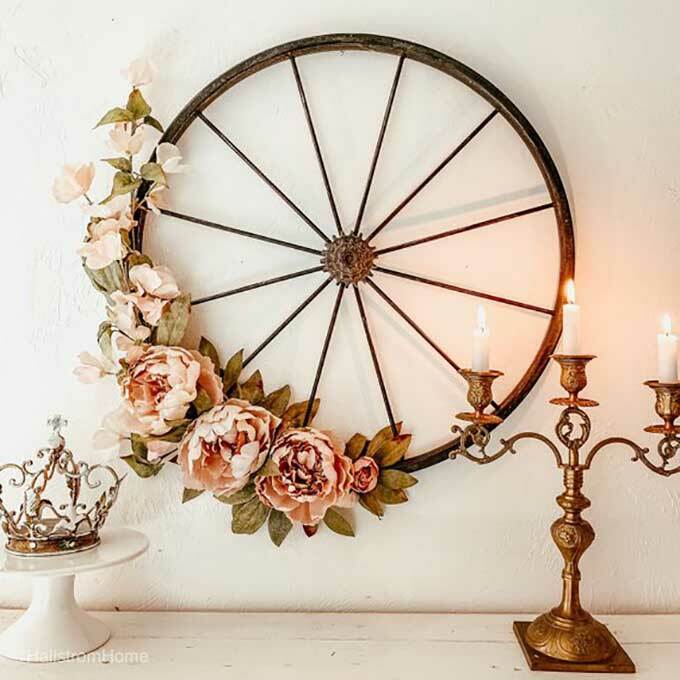 Such a pretty wreath (actually lots of pretty + unique wreaths)! I think it might be time for me to make my first wreath ever, haha.